A relic from America’s first space tragedy is finally going on display this week, 50 years after a fire on the launch pad killed three astronauts at the start of the Apollo moon program. A flash fire erupted inside the capsule during a countdown rehearsal, with the astronauts atop the rocket at Cape Canaveral’s Launch Complex 34. 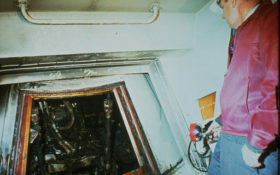 A cry came from inside: “Got a fire in the cockpit!” White struggled to open the hatch before quickly being overcome by smoke and fumes, along with his two crewmates. It was over for them in seconds. For the astronauts’ families, Apollo 1 is finally getting its due. The tragedy has long been overshadowed by the 1986 Challenger and 2003 Columbia accidents. Remnants of the lost shuttles have been on display at the visitor complex for 1 ½ years. On Friday — the 50th anniversary — the crew’s families will help dedicate the new exhibit. For most of them, a private tour Wednesday marks the first time they’ve seen any of the capsule. As the years and decades rolled by, Apollo 1 became a mere footnote in space history. Chaffee’s daughter, Sheryl, who retired last month after working at Kennedy for 33 years, recalls having to buy a memorial wreath herself to display at the space center on the 20th anniversary. The Astronauts Memorial Foundation took over the annual observance that honors all astronauts killed in the line of duty — this year’s ceremony is Thursday. But it wasn’t until NASA unveiled its tribute to the 14 Challenger and Columbia astronauts in June 2015 that the agency wondered why it hadn’t done anything similar for Apollo 1. “This wasn’t our generation … it wasn’t on our radar” like the shuttle accidents were, explained Kelvin Manning, associate director of Kennedy Space Center. Determined to make things right, he and others at Kennedy began work on a display. NASA consulted the two surviving widows and six children, explaining it wanted to honor the three men and their sacrifice, and show how Apollo 1 ultimately paved the way to the moon. Grissom, an original Mercury astronaut, was the second American to fly in space. White was the nation’s first spacewalker. Chaffee was the rookie for the flight, a demo in low-Earth orbit. With the families’ blessing, NASA last year pulled the hatch from storage at Langley Research Center in Virginia. Bonnie Baer, White’s daughter, is grateful the entire capsule is not on display, as so many other family members have been urging for decades. “I want them to be remembered for the other things and not necessarily for the accident,” she said. As the 30th anniversary of the fire approached, Betty Grissom, Gus’ widow, had pushed to have the capsule put on public display. The request was denied. 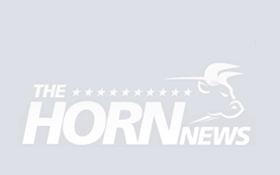 “There’s a long list of places where really bad things happened to our country, but we display those respectfully and appropriately,” Scott Grissom said, citing the Alamo, Gettysburg and the Arizona Memorial at Pearl Harbor.